If you thought Toto had taken over Mike Oldfield’s body on his recent album, Man on the Rocks, then you should hear Mark McGuire’s Along the Way. Every time I put it on I feel like I’m taking a trip into the future via my past. Elements of the 70s progressive rock music I love from Popol Vuh, Ash Ra Tempel, Mike Oldfield and Jade Warrior emerge in his music. But Mark McGuire isn’t recreating this sound so much as reinventing it for his own vocabulary. He was formerly in Emeralds, an electronic band with deep echoes of German space music but on his own, he’s made a statement recording that goes beyond that. It was the Echoes CD of the Month for March and you can read a review and listen to tracks from it here. He talks about it in Echoes Podcast. Join the Echoes CD of the Month Club. 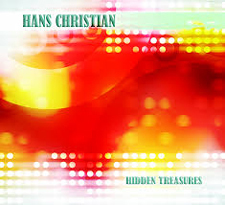 and get Hans Christian’s Hidden Treasures, the May CD of the Month. You’ll get great CDs and help support Echoes at the same time. You can do it all right here. On the heels of his international acclaim at the 2012 Summer Olympic opening ceremony in London and the 40th anniversary of his signature work, Tubular Bells, Mike Oldfield takes a hard right into 70s era album rock. 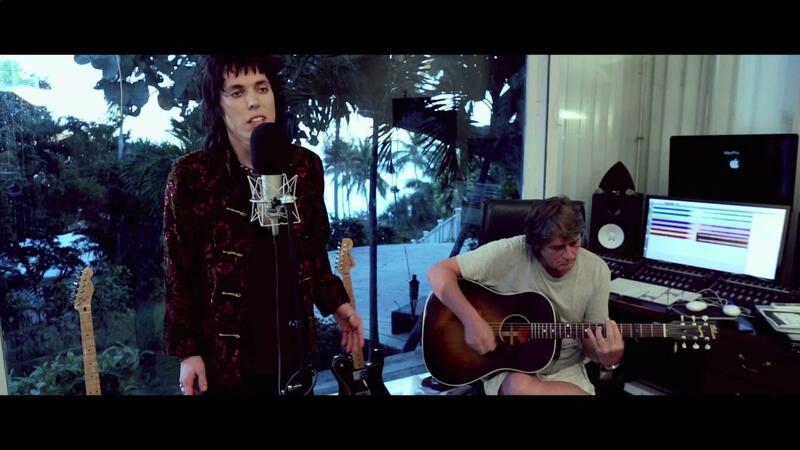 His latest CD, Man on the Rocks, features singer Luke Spiller from the little known band, the Struts in a set of anthemic rock songs that, save the electric guitar solos, wouldn’t be recognizable as Mike Oldfield. From his home in the Bahamas, I speak to Oldfield about the motivations behind his work in the Echoes Podcast. On the heels of his international acclaim at the 2012 Summer Olympic opening ceremony in London and the 40th anniversary of his signature work, Tubular Bells, Mike Oldfield takes a hard right into 70s era album rock. His latest CD, Man on the Rocks, features singer Luke Spiller from the little known band, the Struts in a set of anthemic rock songs that, save the electric guitar solos, wouldn’t be recognizable as Mike Oldfield. From his home in the Bahamas, I spoke to Oldfield about the motivations behind his work tonight on Echoes. Every time I put on Mark McGuire’s Along the Way I feel like I’m taking a trip into the future via my past. Elements of the 70s progressive rock music I love from Popol Vuh, Ash Ra Tempel, Mike Oldfield and Jade Warrior emerge in his music. But Mark McGuire isn’t recreating this sound so much as reinventing it for his own vocabulary. He was formerly in Emeralds, an electronic band with deep echoes of German space music but on his own, he’s made a statement recording that goes beyond that. It was the Echoes CD of the Month for March and you can read a review and listen to tracks from it here. He talks about it tonight on Echoes. It’s no surprise that our March CD of the Month, Mark McGuire’s Along the Way, leads the Echoes Top 25. Fans of Popol Vuh, Ashra and Mike Oldfield should be in prog-epic heaven with this album. Hear Mark McGuire interviewed on Monday March 31. 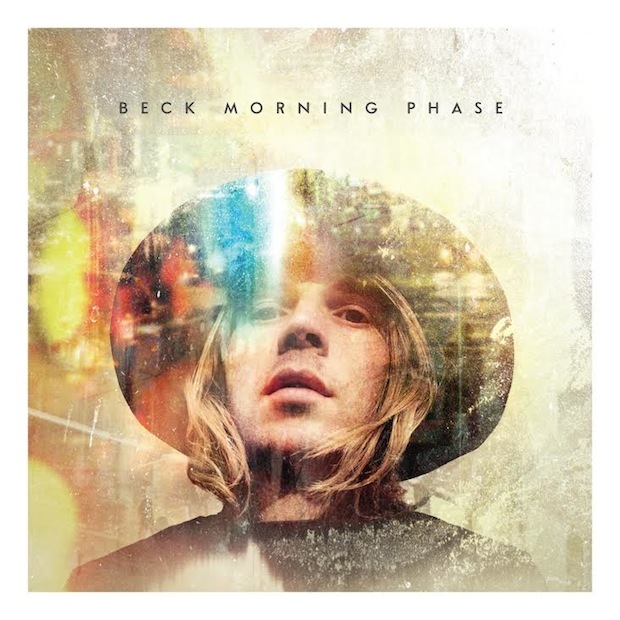 Beck’s Morning Phase comes up next, a beautiful psychedelic tinged pastoral song-cycle from this popular, yet I think still underrated artist. And James Hood returns to the Echoes Top 25, having previously spent some time here with his other recording persona, Moodswings. His album of Hang meditations, Ceremony. sounds better the more I hear it. Fully half of the top 25 have never been on this list before. Join us on Facebook where you’ll get all the Echoes news so you won’t be left behind when Dead Can Dance appear on the show, Tangerine Dream tours or Brian Eno drops a new iPad album. Or Follow us on Twitter@echoesradio. Now you can go Mobile with Echoes On-Line. Find out how you can listen to Echoes 24/7 wherever you are on your iPhone, iPad or Droid. 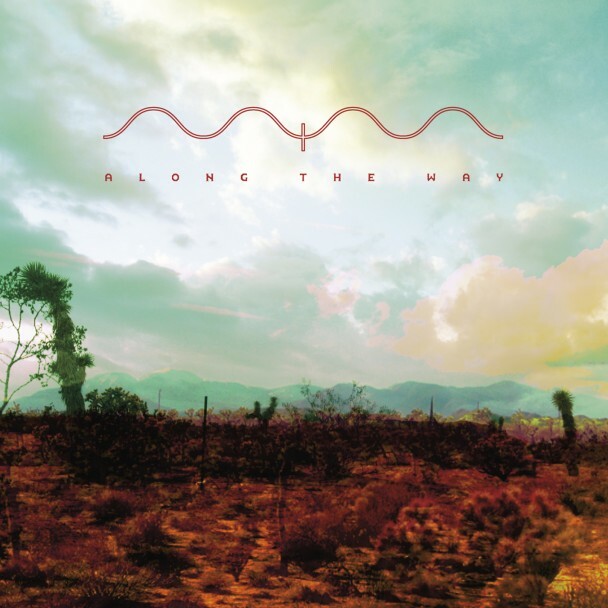 Old fans of progressive rock and space music might be forgiven if listening to Mark McGuire’s Along the Way takes them back to about 1975, calling up music like Ash Ra Tempel’s Inventions for Electric Guitar, Popol Vuh’s Seligpreisung or Can’s Soon Over Babaluma. McGuire’s heavily layered guitars with delay-driven riffs, burning solos and expansive themes would have fit perfectly in those heady times. 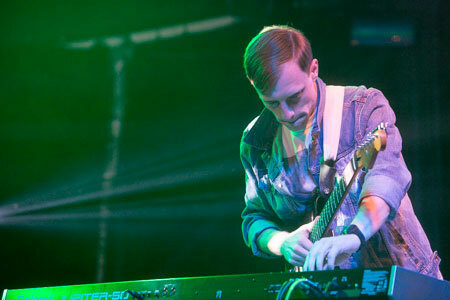 McGuire was in a band called Emeralds, an electronic retro-space music trio who sound like stowaways in Tangerine Dream’s Berlin studio circa 1975. But Along the Way is something different and more personal. 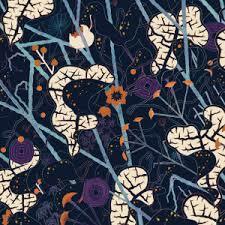 McGuire has hinted at this in a series of little-heard solo recordings like Get Lost and A Young Person’s Guide, but Along the Way is the culmination of these explorations: it’s a beautifully crafted album that shifts in mood and motion. The intricate opening suite begins as a new age meditation of acoustic guitar, meandering synthesizer, chimes, and some Asian stringed instrument sounding like a koto or pipa. Those instruments are joined by a delayed electric guitar and before you know it, you’re washed into “Wonderland of Living Things.” It’s a Mike Oldfield-like confluence of insistent groove, cycling melodies and increasingly insistent delayed guitar riffs. References abound on the album, like the Popol Vuh-inspired guitar picking on “Arrival Begins the Next Departure” with a trio of guitar lines that spiral up into the ether like vapor trail minarets. 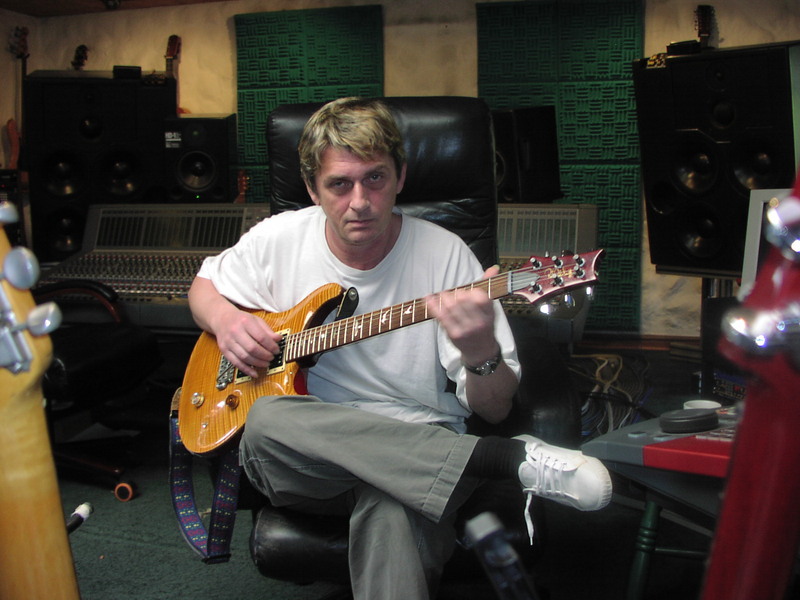 Many of McGuire’s songs are built on looping delay patterns similar to those Manuel Göttsching created on Inventions for Electric Guitar in 1975. 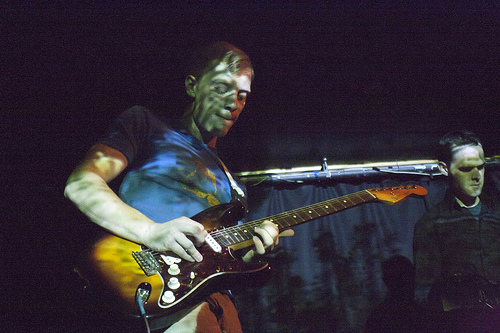 His intricate riffs shift subtly through a song in a minimalist sleight of hand. You may not be thinking of that during the intricate, pastoral weave of “In Search of the Miraculous” or the brain-searing crescendo of “The Instinct,” which forms like the isokinetic structure of a Hoberman sphere, slowly expanding until it explodes in a five minute electric guitar meltdown. Playing all the instruments himself, including several kinds of guitars, mandolin, synthesizers, percussion, piano and more, McGuire’s opus recalls Mike Oldfield’s Tubular Bells in its ambitions. McGuire brings that concept into the 21st century and like that album some 40 years ago, Along the Way left me breathless. Erik Wøllo’s February CD of the Month, Timelines, leads Echoes Top 25. It’s a brilliant recording of layered guitar dreamscapes. Following close behind is our soon-to-be March CD of the Month, Mark McGuire’s Progressive Rock epic, Along the Way. You’ll be hearing more about this album soon. No fewer than seven vocal albums populate the top ten slots including Priscilla Ahn’s This is Where We Are; Warpaint‘s self-titled album; Linnea Olsson’s cello songs, Ah! ; the return of Aurah with Summon the Sky; Gem Club’s hazy In Roses and Simon Emmerson’s Fresh Handmade Sound reinvention of The Beatles on A Hard Day’s Night Treatment. That last one, sadly, is not actually out yet. 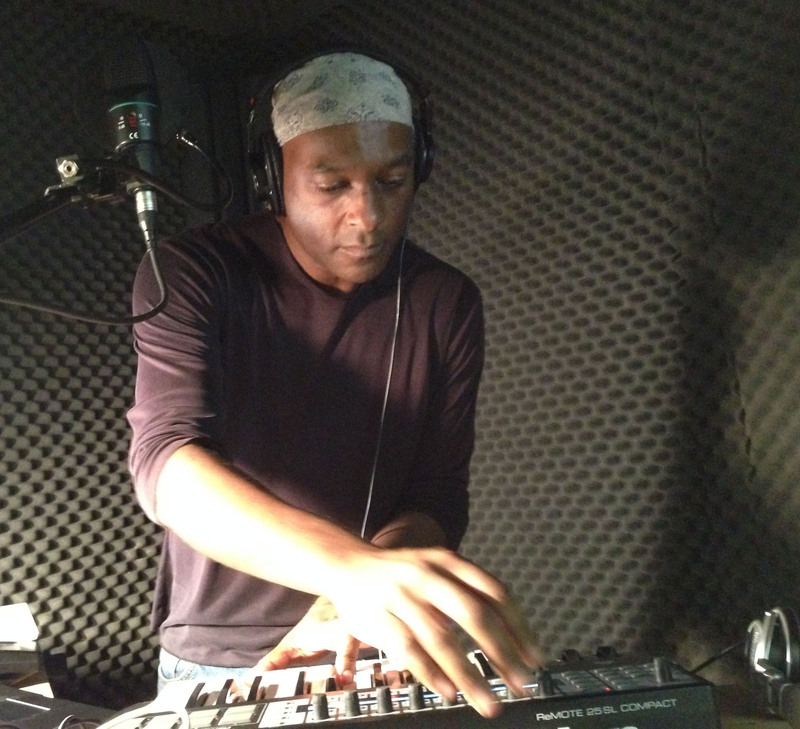 The rebroadcast of Pure Bathing Culture’s live set boosted their return to the top 25. See the complete list below. 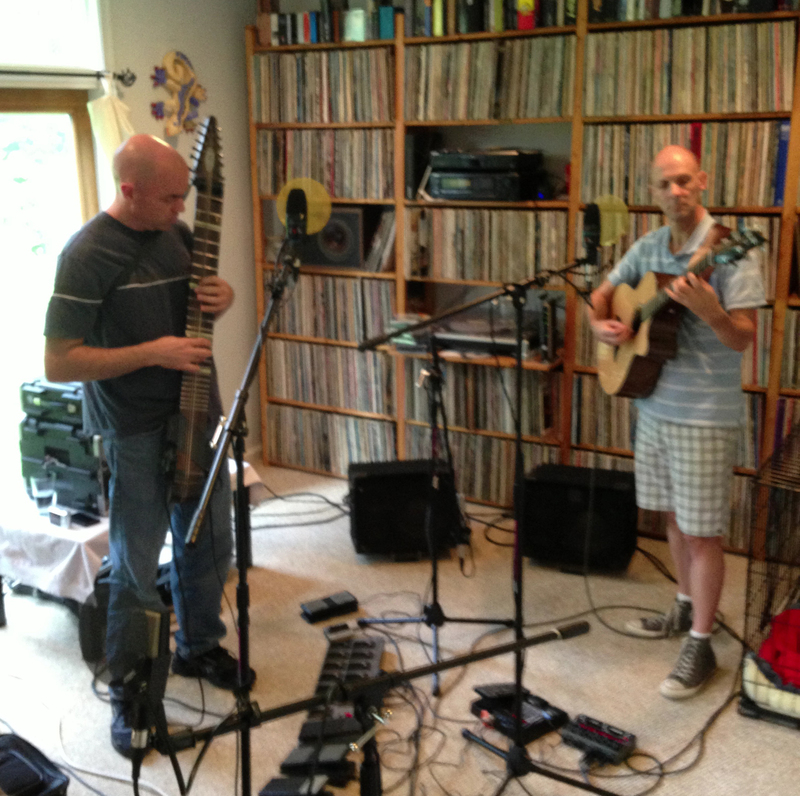 Bert Lams & Tom Griesgraber play Live tonight on Echoes. 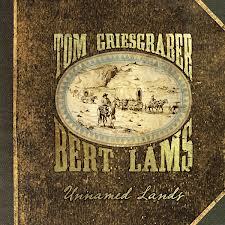 Bert Lams &Tom Griesgraber are both post-progressive rock veterans. Bert Lams is the best known as part of the California Guitar Trio. Tom Griesgraber is lesser known with one previous album out, but he’s been creating progressive music for Chapman Stick for many years now. The two got together to create an album of duets that turned into a conceptual CD called Unnamed Lands. It’s an imaginary trip to the American west in Conestoga wagons. Their wagon train pulled into the Echoes living Room this year and they played a beautiful set for us live. Hear it tonight on Echoes. What do you get when you take a contemporary avant-garde composer, psychedelic folkies, Indian sitarists and Japanese electronic musicians. Apparently you get the soundscape of Echoes or at least the music listeners thought was the best aspect of that soundscape. Listeners have voted and today we’ll hear the results of the Best of Echoes 2013. Both listeners and Echoes staff picked the same number one album, Ludovico Einaudi’s In A Time Lapse, the listeners by a very wide margin. Nine tracks from 25 Essential Echoes CDs for 2013 made it to the listener poll. It’s the 2013 Poll, but there is music on it dating back from one to forty years: Dead Can Dance’s In Concert, essentially there 2012 #1 album, Anastasis done live, Steve Roach’s Rasa Dance, a collection with tracks dating back to the 1980s, and Tubular Beats, a remix of Mike Oldfield’s Tubular Bells. And who would’ve thought that a band who had a #2 hit single, would be on an Echoes list? We didn’t play Daft Punk’s “Get Lucky” but the album it came from Random Access Memories, came in at #9. Top Ten on Echoes has to be better than #2 on Billboard, right? Nine of the CDs in this list were Echoes CDs of the Month, and the other three could’ve been on this list. Join the Echoes CD of the Month Club now and you can put David Helping and Jon Jenkins’ Found under somebodies Christmas tree. It’s our December CD of the Month. You’ll get great CDs and help support Echoes at the same time. You can do it all right here.